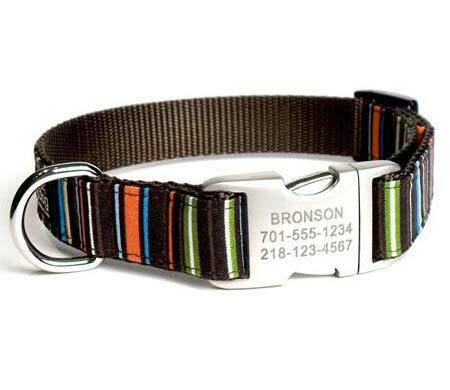 The Bronson Designer Dog Collar with Personalized Buckle sets the stage for a timeless and classic stripe pattern in orange, green, blue, camel and white. 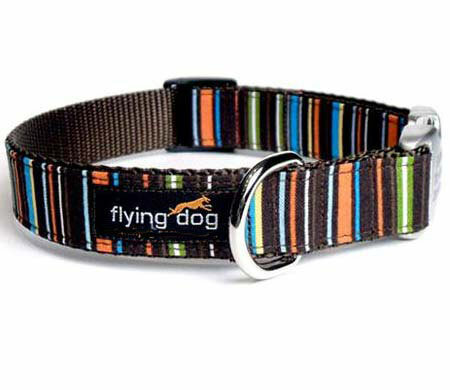 The matching leashes feature the same fashionable designs applied to heavyweight nylon webbing and are are available in 4, 5 or 6 ft lengths. The leashes also include a d-ring at the handle for hanging keys or poopbag. 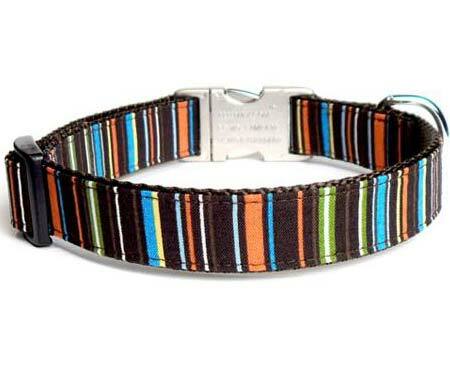 Handmade Striped Designer Dog Collars personalized with custom engraved buckle for your dog's name and address, ID info. 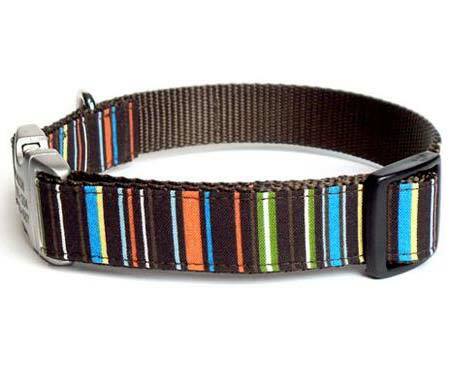 Classic striped ribbon on nylon, colorful and stylish. Extra Small 8 inch, Small, Medium, Large, Extra Large up to 28 inch neck. For tiny dog breeds, extra small dogs and small puppies, small, medium, large and extra large dogs, up to neck size 28 inches!